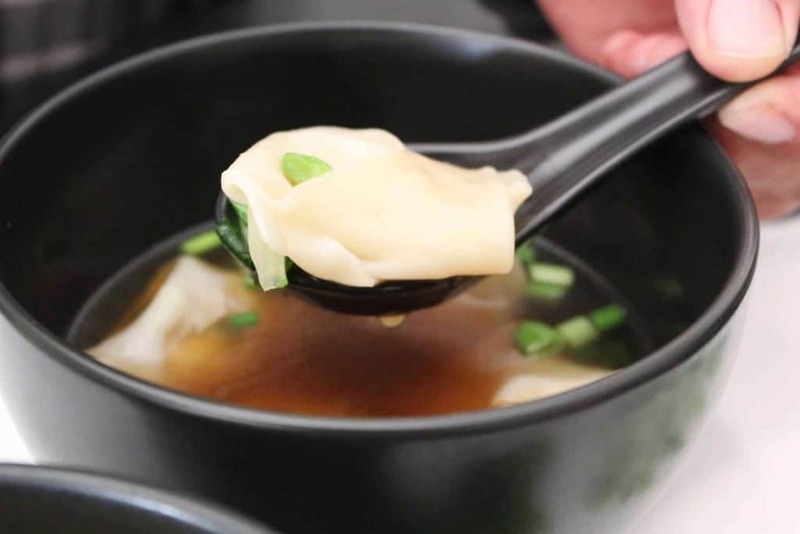 Wonton Soup is a delicious and easy soup to make and it’s low-fat, too! Wonton soup is staple menu item at many Asian restaurants and is usually served as an appetizer. 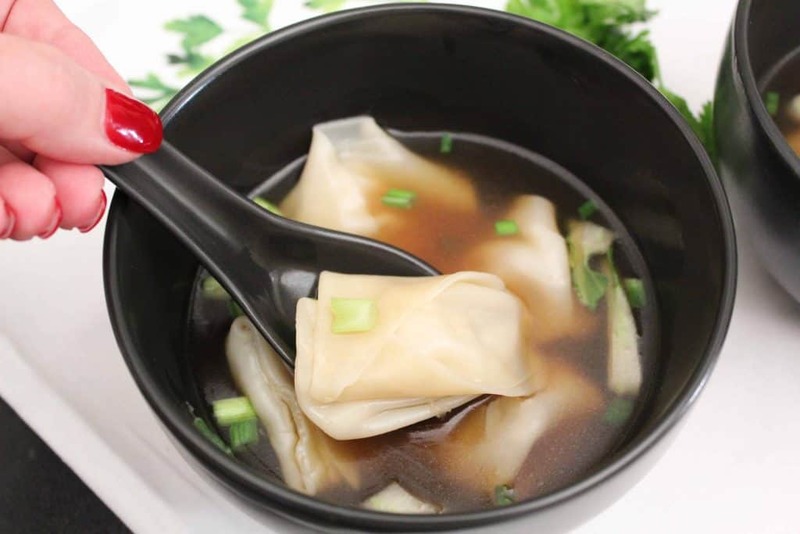 The wonton often contains a protein (pork, shrimp or chicken) and usually accompanies the light chicken broth with green onions. It’s actually a very simple soup to make! 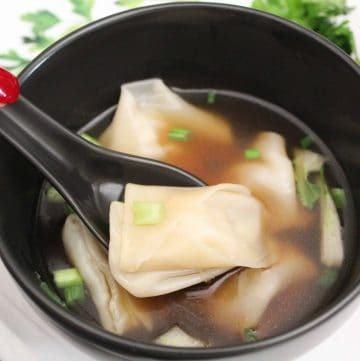 A bowl of homemade wonton soup is perfect if you’re trying to lose weight, on a detox diet, or just simply hungry but not starving. Both the broth and wontons can be made ahead and re-heated on a moment’s notice. A wonton is a small pastry made of wheat flour, water and eggs. They’re typically filled with a protein (pork, chicken, shrimp), that is formed by hand and boiled. 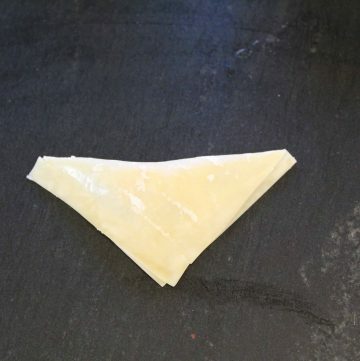 Generally speaking, wontons are not gluten-free; however, there are gluten-free wonton wrappers available in some stores, or you can use spring roll rice paper. No. 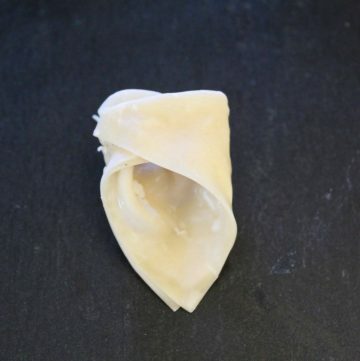 Traditional wonton wrappers are made with egg. There are vegan wonton wrappers available. Here’s one brand that is gluten-free and vegan. What’s The Difference Between a Wonton and an Egg/Spring Roll? Wontons are generally smaller and are boiled, whereas egg and spring rolls are typically filled then fried. Can I Make Wonton Soup in Advance? Yes! Make the broth and form the wontons ahead of time; refrigerate the broth and freeze the uncooked wontons. When you’re ready to have a bowl of soup, bring the broth to a boil then add the wontons. Allow wontons to cook for about 6-8 minutes. Do I Cook the Filling Before Putting it on the Wonton Wrapper? No. I realize it sounds weird, but the protein filling (pork, shrimp, chicken) is not cooked prior to putting it in the wrapper. Now that sounds dangerous, huh? 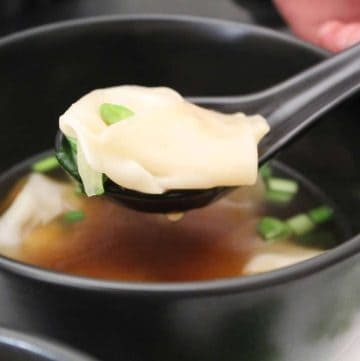 Here’s why you do not cook the filling first: 1) the protein toughens when pre-cooked and makes shaping the wonton difficult and 2) there’s only 1 teaspoon of filling in each wrapper, which cooks to a safe temperature in boiling water and for the exact amount of time (4 minutes). 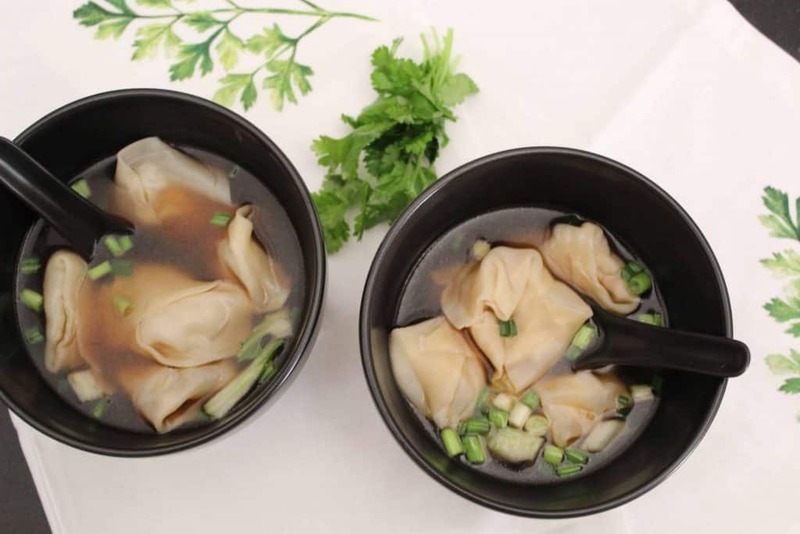 Light and flavorful chicken-based soup with homemade wontons dumplings, green onion, cilantro and bok choy. This soup goes great with homemade Chinese Sticky Ribs!